epsilon dream is a masterpiece. overall great album. needs a vinyl release! I've listened to numerous ambient tracks over the years and this is by far one of the best releases I've heard since the days of Selected Ambient Works Volume II. Highly recommended for those who enjoy this style. Far too much talk about how this release "looks" and not enough about how it "sounds". 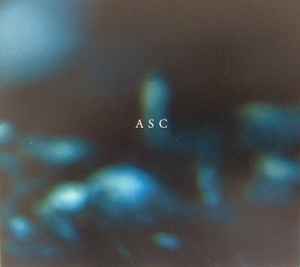 What we have here is absolutely phenomenal work by ASC and possibly my pick from all his ambient works on Silent Season so far, and that's saying something due to the quality of the previous albums. Promises To Keep at just under 20 minutes is truly breathtaking. I hope to hear more from ASC on this label as soon as possible! Its lost its special distinguish SS look that made them extra special and collectable! Aside of the musical quality which is as we could expect from ASC, I'm a bit disappointed by the CD's digi-pack not being like the traditionnal Silent Season jacket.